Made for storage, but less than 5mm thick! 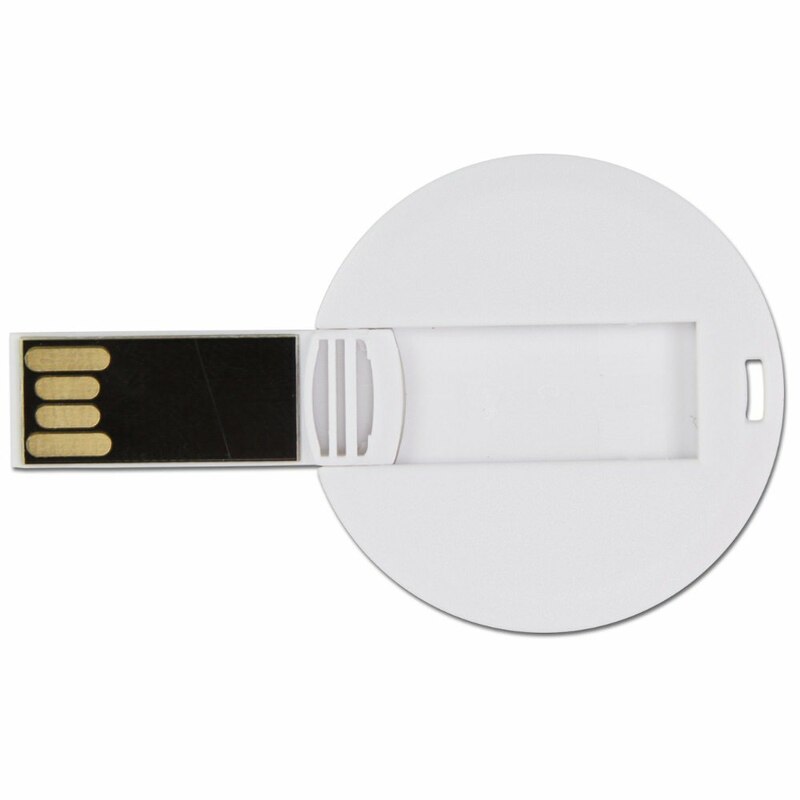 These bulk Slim Medallion USB Flash Drives use a USB connector that flips out and snaps back securely in place when not in use. They make look wafer thin, but the Slim Medallion USB Flash Drive is fat on the inside. These Hi-Speed drives are built to be lean and mean storage machines, able to hold an impressive amount of data. Pictures, documents, presentations, music, multimedia: You name it, the Slim Medallion can take it. The drive has a USB connector that flips in and out, a keyhole for easy transport, 10+ years of data retention, and a 3 year warranty. USB flash drives, like people, come in many different sizes and shapes. Not all high performing USB drives are sticks: Some are compact and round, like the marvelous Slim Medallion USB Flash Drive! 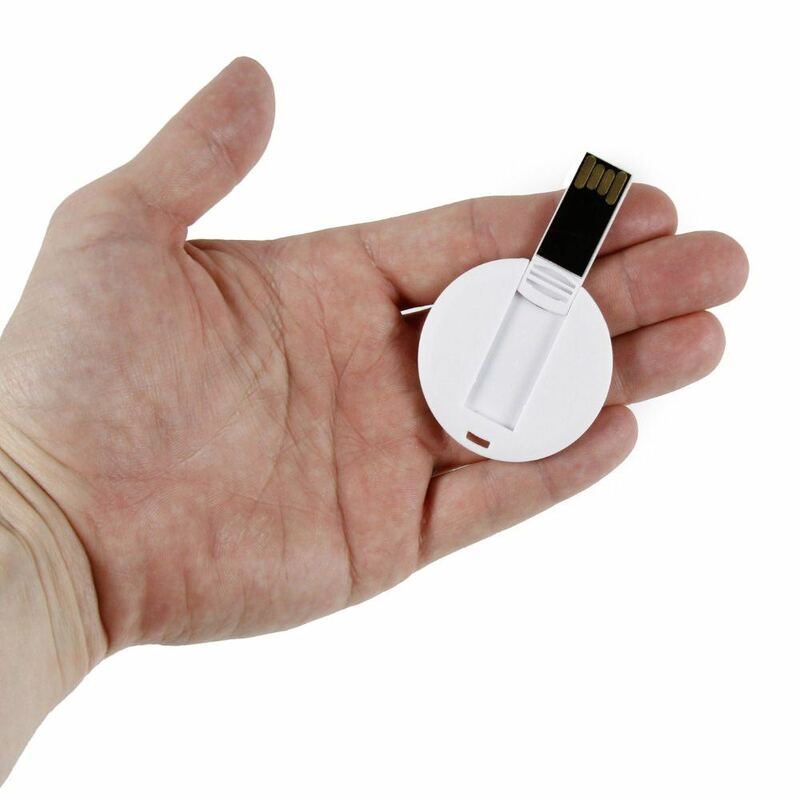 The Slim Medallion USB has a very thin case and some seriously fat storage space! With storage capacities ranging from 512MB to 64GB, this Hi-Speed USB drive was made to be a very lean and mean data storing machine. 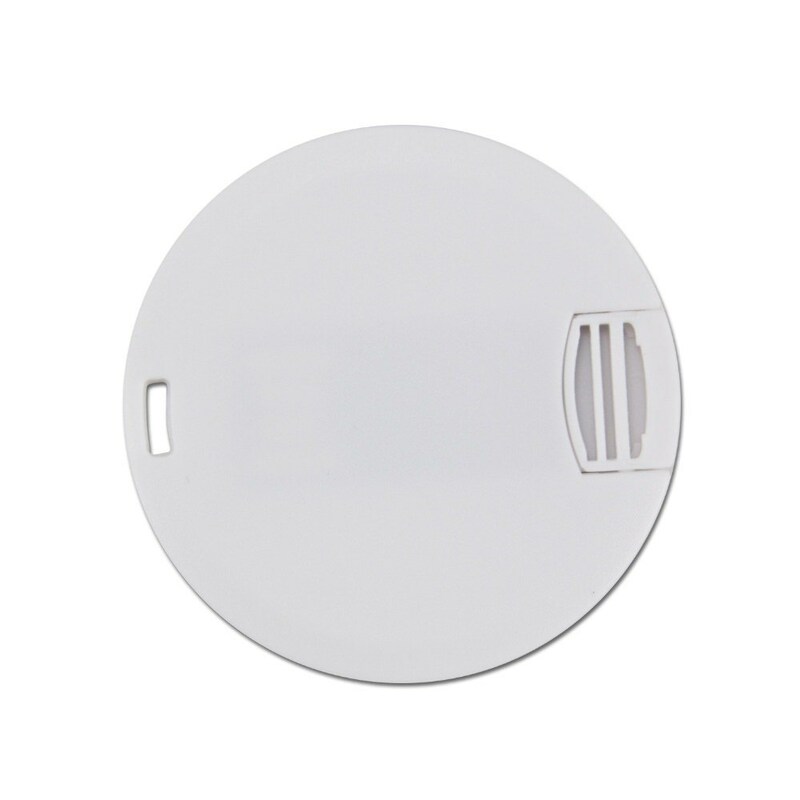 The Slim Medallion has up to 10 years of data retention and comes with a 3 year warranty. It’s less than 5mm thick, making it easy to tuck away in your pocket. It also has a built-in key loop so you can attach it to key rings, belt loops, straps, and anywhere else that’s within your reach. The USB connector is set inside the medallion, ready to flip out and snap back in whenever you need it. The Slim Medallion is fully supported by PC, Mac, and Linux. No driver needed for most operating systems: Just slip the Medallion in and fill it up with music, pictures, documents, presentations, multimedia, and all the other files you want to have on you all the time! 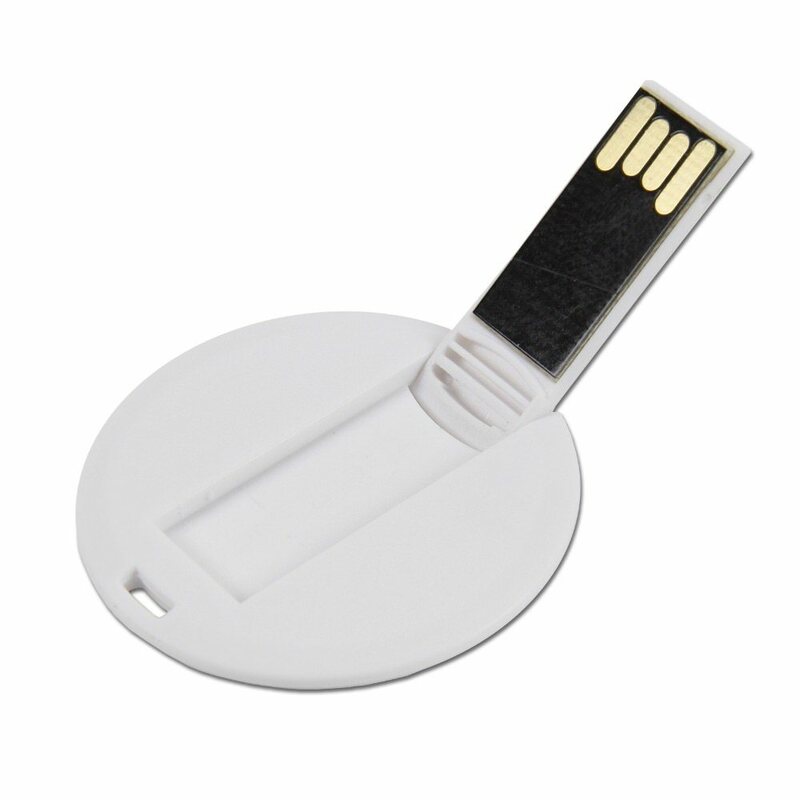 The Slim Medallion is available in bulk or as customized flash drives. 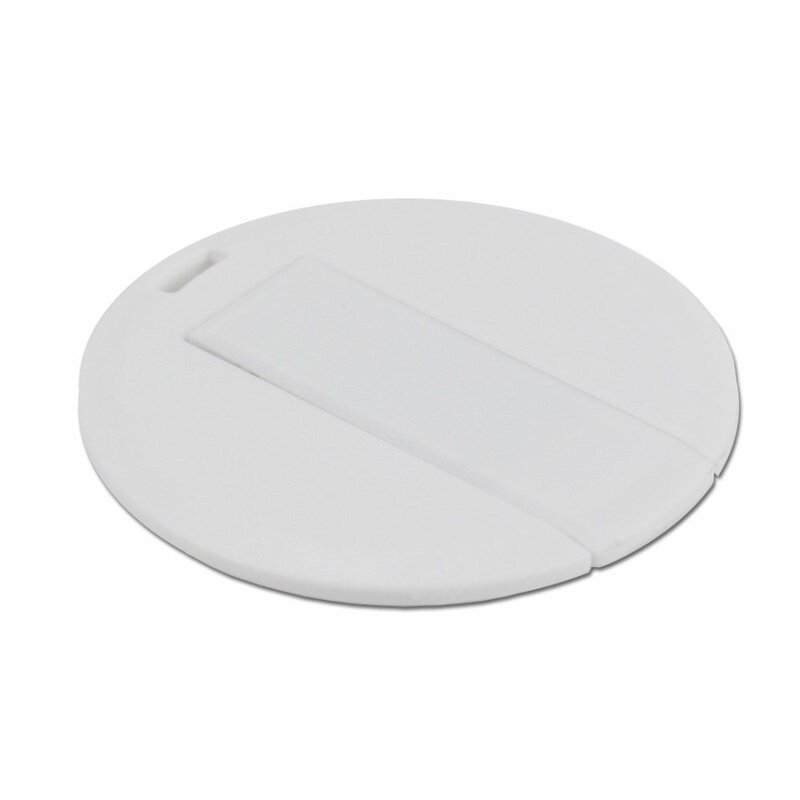 The round plastic drives have a large print area, making them an ideal place for you to spotlight your logo.